Salcedo SkySuites, MAKATI – Megaworld Corporation had launched yet another remarkable beacon in Manila’s #1 Central Business District. 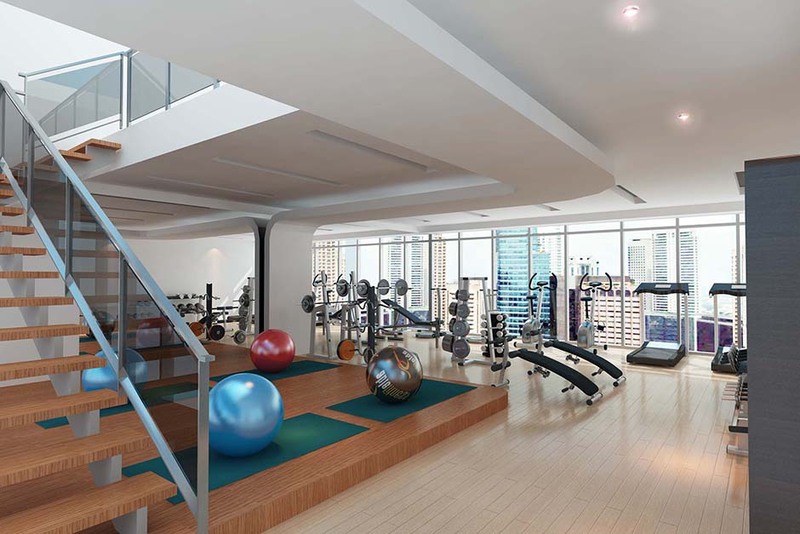 Salcedo SkySuites will rise to dominate the CBD sky and is envisioned to be one of Makati’s unsurpassed addresses in the years to come. 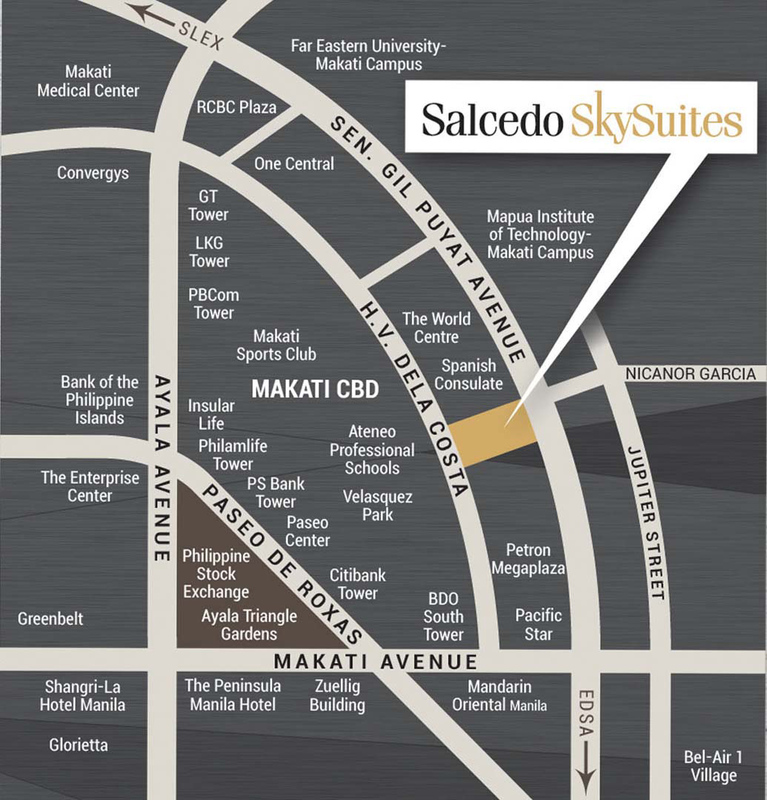 Salcedo Sky Suites is located along H. V. Dela Costa Street in Salcedo Village, Makati City. 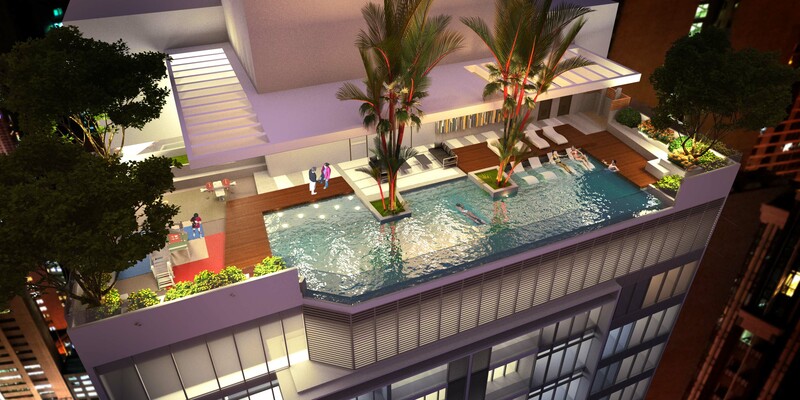 It is another premier residential address of Megaworld in the Makati Central Business District. Location that strategically give you the ideal home address and an optimal rental property. From the map you will see that Salcedo SkySuites is very accessible to Ayala Avenue, Paseo De Roxas and Sen. Gil Puyat St. – the roads that eases you in and out of the Central Business District and leads you to the two major access roads in Manila – EDSA and SLEX. Salcedo SkySuites – The 32-story prestigious condominium will rise to be a contemporary full-glass building with a top of the class roof deck amenity at the 32nd Floor. 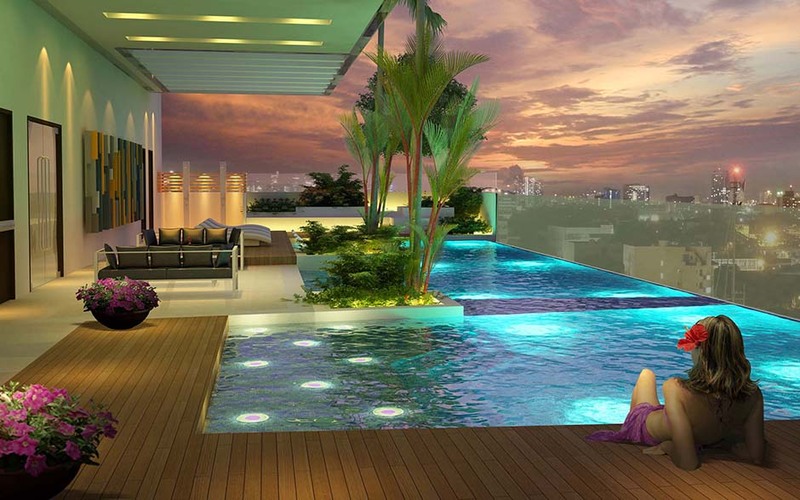 With its prestige comes its exclusivity, having only 253 residential units in this high rise building. What makes it even more special is you can enjoy the unobstructed view of the Makati CBD skyline whether you’re in your balcony at your 1BR or thru the full glass window of your 2BR Salcedo SkySuite. You may also enjoy the open air from our studio units thru your balcony.